Okay... I have to admit that I really don't do the best job of taking care of my hair. When it comes to my shampoo and conditioner, I usually opt for Herbal Essences in whatever color bottle my mom restocks me with, and for product after the shower I use one serum that's been a part of my routine for about six months. Other than that? Well, there's really not much to say. I never remember to use my heat protectant before doing my hair, and actually doing my hair at all is something that happens maybe once a week. 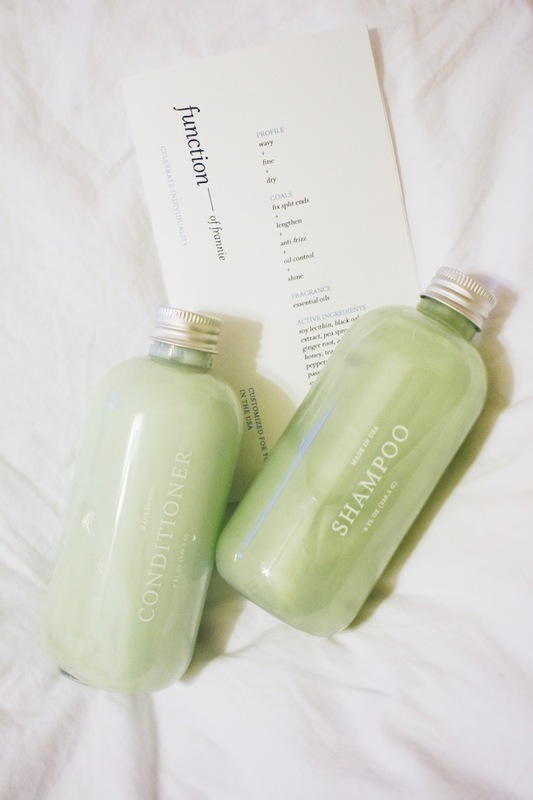 So... when Function of Beauty reached out to me about their non-toxic, sulfate-free customizable shampoo and conditioner, I knew I needed to take this opportunity to get something good going for my hair. Something I have been struggling with ever since I cut 11 inches off of my hair last February is having horrible split ends. I have the worst habit of picking at my split ends when I'm in class or even when I'm just sitting in my car, and I really can't seem to stop. 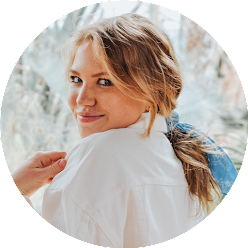 When Function of Beauty reached out to me, they explained that each product is customized by taking a quiz where you share your hair struggles and goals, and they create a formula for you that's supposed to help! For my goals I chose fix split ends, lengthen, anti-frizz, oil control, and shine. So far, I have only used the shampoo and conditioner for about a week (that's probably two or three times now... I usually wash my hair every other day). Of course, just two uses won't really show me how it's working, but let me just tell you that I don't even care if it's really fixing my split-ends or making my hair grow faster (well, sort of, haha), it's just so aesthetically pleasing to have in my shower, and it smells amazing. I got the essential oils fragrance and it's so good, you guys. Like, I want to be using this shampoo and conditioner for the rest of my life just based off the smell!!! But of course, I would like to actually see a little split-end resolution and lengthening. On that note, I feel like my hair is not growing at the rate that it should. I want a few more inches I think to reach a length that I'm truly happy with, because right now I feel like I am stuck in such an in-between. Not to get too graphic, but there was literally a point at college that so much of my hair would fall out during a shower that I actually started to think there might be a problem. If you have any ideas of how I can grow my hair, or what works for you, please share! What shampoo and conditioner do you use? Do you have any hair-care product recommendations that I need to try? I used Wen shampoo by Chaz for a couple months and it made my hair grow like crazy. I stopped using it because it seemed to make my hair a little oily which I didn't like but one thing I definitely noticed was how fast it grew!!! I took biotin vitamins (Olly brand, but I'm pretty sure they all work the same) every day until the container ran out and I definitely noticed my hair and nails growing! Good luck!